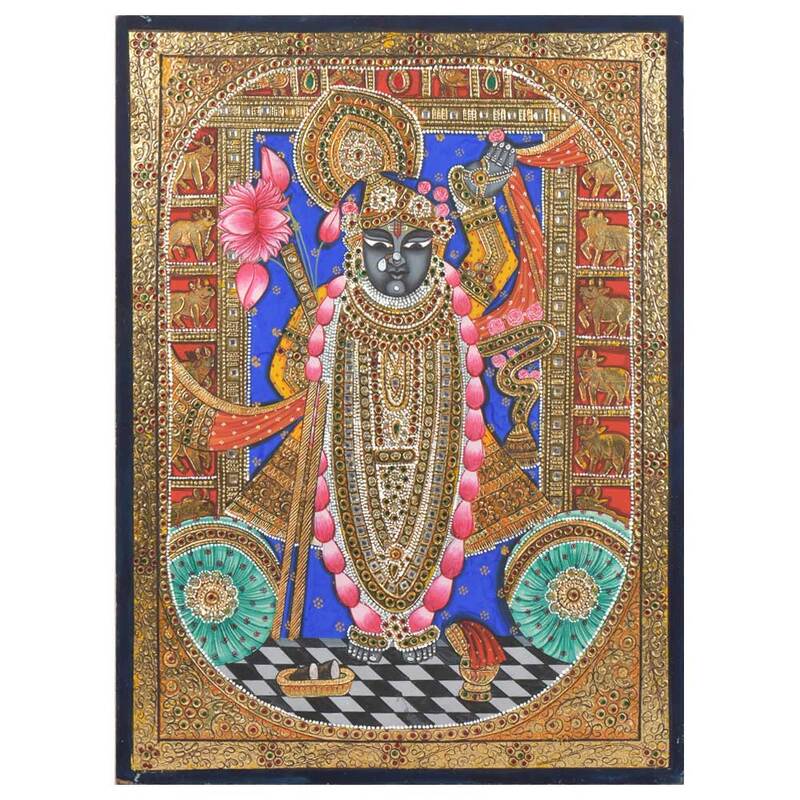 Shrinathji Tanjore Paintings have gained worldwide appreciation owing to the precise embellishment of precious stones and royal look. Using pure 24 carat gold. These paintings are perfect choice for adding luxurious look to the interiors of houses, hotels and commercial places.